More than two years after launch, Overwatch is still going strong, with its 28th character recently released and another special event on the way. The Overwatch Summer Games event is coming back for its 2018 iteration, the third time this particular event has occurred. This year’s Summer Games event features the return of Lucio Ball, a popular game mode that is basically a bunch of Lucios playing soccer. Overwatch Summer Games 2018 starts on August 9 and runs through August 30. As usual, Blizzard is playing an air of secrecy around the event. Aside from Lucio Ball returning, we don’t know if any other special brawls will be added this year. You’ll get a kick out of this! The first year of the Overwatch Summer Games event celebrated the Rio Summer Games, and the outfits reflected the Olympic games vibe. Last year’s event didn’t have the Olympics to springboard off of, so they embraced a more beachside barbecue aesthetic with the skins that were available. Blizzard has only revealed one skin for this year’s event so far, but it seems to run along that same kind of beach/water party look. You can get a look at the new legendary D.VA skin below. Jet ski mech? Don’t mind if we do! Make a splash with WAVERACER https://t.co/JW0Aei8tV0 (Legendary)! Watch for new skins and reveals to happen over the next week as the Overwatch Summer Games 2018 event gets ever closer. In other Overwatch news, Blizzard recently hired a new narrative writer as the game continues to evolve. 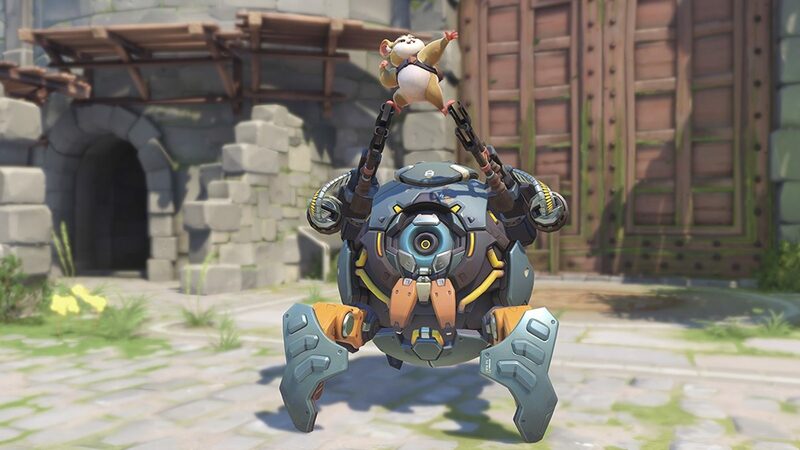 Wrecking Ball is also in the game now, along with a bunch of brand new hero changes that will be exciting for this next event. Think Wrecking Ball will get any cool summer event skins?